In a statement issued after his appointment, Kyle Reese said he was real excited about his new position. Reese's new position was as head baseball coach at Mount Paran Christian in Reese's hometown of Kennesaw, Ga.
"It is a great combination of competitive, challenging baseball with one of the finest Christian schools in the state," Reese said in the statement, according to The Marietta Daily Journal. "I look forward to the opportunity of leading the baseball program at MPCS." Reese was chosen to lead the program there after previously serving 10 years as head coach at another Georgia school. He also was chosen to lead the program after a professional career that saw him play in eight seasons, but never saw him make the majors. 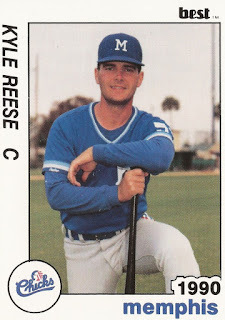 Reese's professional career began back in 1983, taken by the Braves in the 15th round of the draft, out of North Cobb High School in Kennesaw. With the Braves, the catcher Reese started in the rookie Gulf Coast League, hitting .093 in 15 games. He moved to rookie Pulaski for 1984, hitting .228 in 39 games. After not being recorded as playing in 1985, Reese moved to the Cardinals system for 1986, playing the year at single-A Savannah and short-season Erie. Between them, Reese got into 27 games and hit .191. He moved to the Royals system for 1987, playing at single-A Fort Myers, getting 43 games and hitting .144. For 1988, he played at single-A Virginia. At Virginia, he got into 50 games, the most games he played in any one season. 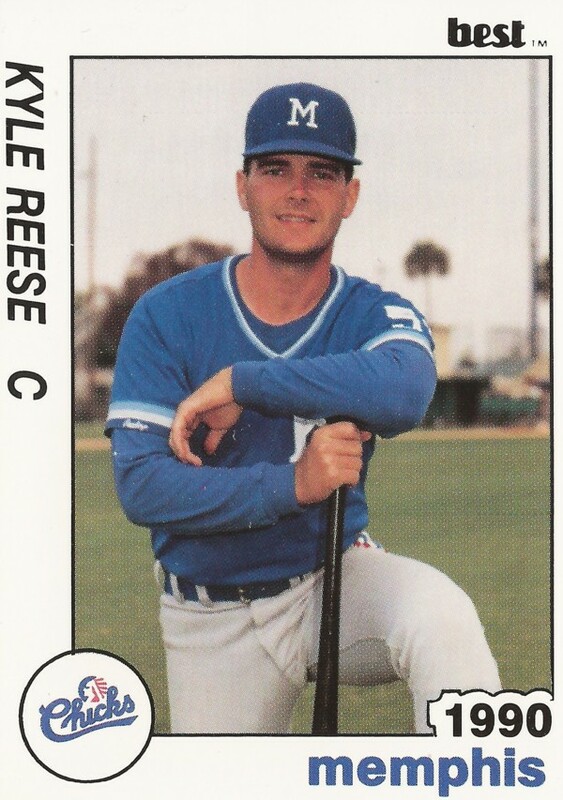 For 1989, Reese made single-A Baseball City, getting 29 games there and 15 at AA Memphis. In late-July, Reese went 1 or 3, with an RBI. It was the reserve catcher's eighth start of the year. Reese returned to Memphis for 1990 and 1991, but only got into 16 games his first year and 12 his second. His 1991 season was his final season as a pro. Moving into coaching, Reese is continuing as Mount Paran head coach into 2015.